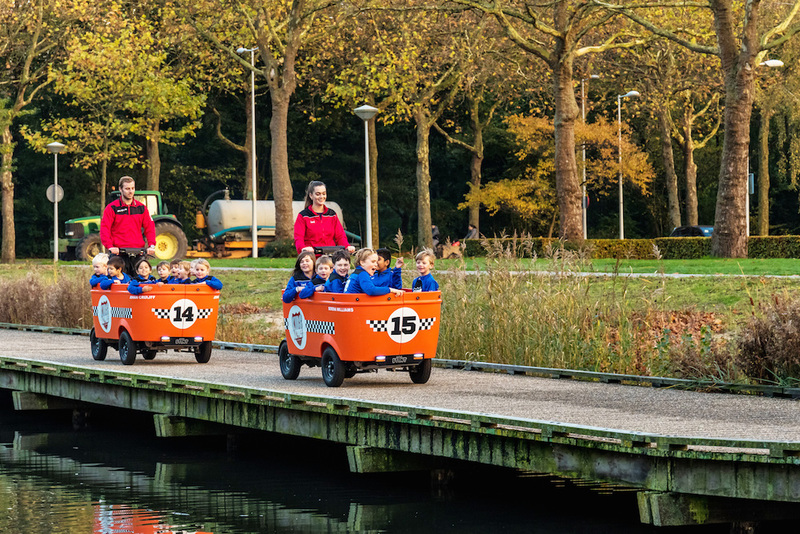 The electric wagons known as Stints which hundreds of daycare centres use to ferry children around are not safe enough to be on the public roads, the TNO research institute says in a new report. The institute was commissioned to look into stint safety by transport minister Cora van Nieuwenhuizen following September’s fatal crash in which a wagon ploughed into a train, killing four children. Van Nieuwenhuizen immediately banned the wagons from the roads. The TNO report says the wagons can only be allowed back into traffic after modifications have been carried out. In particular, there are problems with the braking system, the report said. The minister told a news conference on Thursday she realises that the ban has caused problems for users but that ‘safety has priority’. She will hold talks with the child care sector about the difficulties they now face next week. Stints made their debuts on the Dutch roads in 2011 via legislation covering ‘special scooters’ – a new category of road transport introduced to cover Segways. MPs and ministers were keen to encourage new forms of transport and did not introduce extra safety measures so as not to dent innovation. Two road safety organisations checked the electric wagons in 2011 and both said they had doubts about their safety, broadcaster NOS said on Thursday afternoon. Nevertheless, both ministers and parliament decided to set their objections aside and press ahead with the introduction. Some 3,500 wagons are thought to have been in use prior to the ban. As well as daycare centres, they were used by several delivery companies, including PostNL.